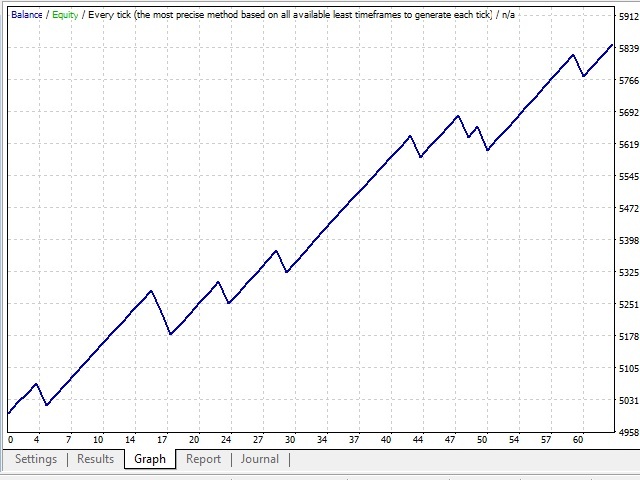 Pompalamasyon is a fully automated trend trader that performs best on 1 Hour EURUSD Chart. This EA uses Simple Moving Average Indicator, Stochastic Oscilator, RSI and Ichımoku to define the trade direction and sends an order. While sending an order the EA sets the take profit and stop loss points. Pompalamasyon is not a scalper. There are no risky hedging or martingale strategies used. EA Settings: Use default settings. Lots: Defines the amount of lot size. MaximumRisk: Defines the maksimum risk that user can have. AutoLot: User can enable and disable auto lotsize adjustment. 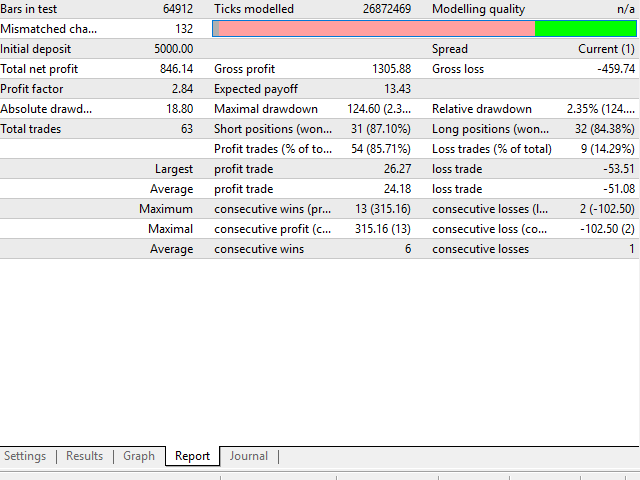 TakeProfit: Defines the take profit point by pips. StopLoss: Defines the stop loss points by pips. Pompalamasyon uses 1,2,3,4 and 5 as magic numbers. If you are using other Expert Advisors to send orders at the same time with pompalamasyon, do not use these preserved magic numbers for other orders. 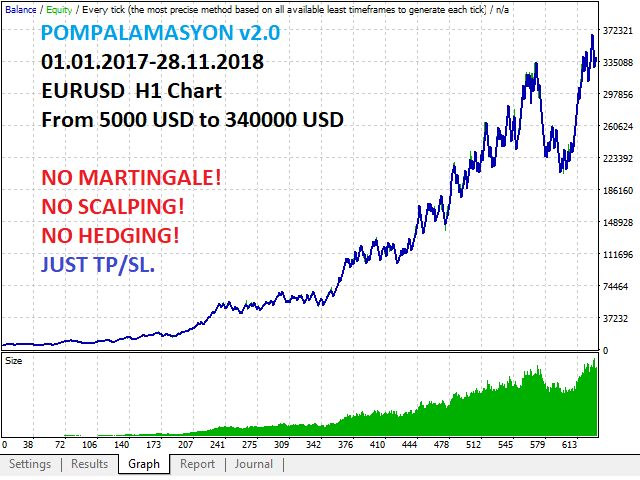 Pompalamasyon v2.0 is ugraded to perform on EURUSD 1 Hour Chart. The new version uses 5 new order send strategies to make more profit. WARNING: Pompalamasyon uses 1,2,3,4 and 5 as magic numbers. If you are using other Expert Advisors to send orders at the same time with pompalamasyon, do not use these preserved magic numbers for other orders.